At our Chabad Center people tend to develop lasting friendships and truly feel a part of the community. You’ll find services that are spiritually uplifting and meaningful, plus sermons that are relevant, inspirational and topical. 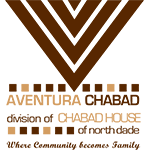 You will also enjoy our unique combination of cherished traditional values and contemporary ideas that successfully meet the needs of modern Jewish families. I am certain that you will be able to feel comfortable and inspired, no matter your level of observance. This, plus amazing family and youth programming and a strong emphasis on congregational participation are some of the reasons our center has grown so rapidly.